The IUCN SSG has provided guidance and support to the Angel Shark Project since its initial stage. The ASP is working closely with the IUCN SSG in the development and implementation of the Angelshark Action Plan for the Canary Islands and the East Atlantic and Mediterranean Conservation Strategy for Angel Sharks. The ASP is working closely with the Shark Trust in the development and implementation of the Angelshark Action Plan for the Canary Islands and the East Atlantic and Mediterranean Conservation Strategy for Angel Sharks. The ASP is working closely with Submon in the development and implementation of the Angelshark Action Plan for the Canary Islands and the East Atlantic and Mediterranean Conservation Strategy for Angel Sharks. We work together with Especies de Canarias during our tagging campaign and nursery area work. Felipe, the founder of Especies de Canarias is also regularly filming our work. We are conducting collaborative long-term research and conservation activities in angel shark nursery areas in the Canary Islands. In particular, we have initiated a tagging project and we are monitoring the largest nursery area of the angel shark discovered so far, called Las Teresitas. 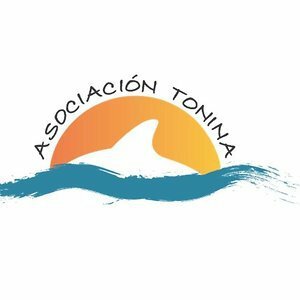 Find out more about Asociación Tonina. We were lucky to be able to use the ePOSEIDON online database to register angel shark sightings. This database was set up by the University of Las Palmas de Gran Canaria to monitor marine biodiversity in the Canary Islands. Now Poseidon collaborates with our New collaborative Sightings Map. Carlos Suarez and Anna Clavero are committed to conservation and run a dive school in Lanzarote. They have been logging angel shark sightings since the beginning and we have been lucky to be able to use Carlos Suarez amazing photographs. Océanos de Fuego supports the Angel Shark Project in the tagging project activities. Find out who Carlos and Anna are! Pozo Scuba is a dive center based in Gran Canaria that regularly registers angel shark sightings into our database. Out Project Officer David joins the crew to take people for an incredible diving experience with angel sharks. Javier and his crew look after angel sharks in La Graciosa Island and support the Angel Shark Project team doing fieldwork during the tagging campaigns .